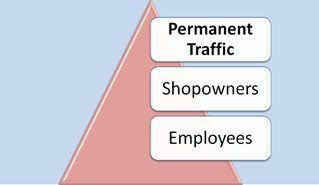 Permanent traffic of the stretch considered (SBH-GPO) is the traffic of the shop owners and the employees. This is like a fixed percentage of traffic. 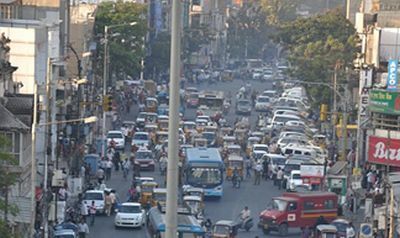 Apart from this stretch being a major shopping Street in Abids, it also serves as a bypass route for going to Vanasthalipuram, Saroornagar, LBnagar, Dilsukhnagar and Charminar areas. The movement of buses on this route is intense and causes lot of chaos which is not even relevant to Abids. There is a heavy percentage of Flowing Traffic on this stretch. Staggered traffic is usually found on the junctions. There are two major junctions on this stretch. The roads connecting the main street are two way roads. 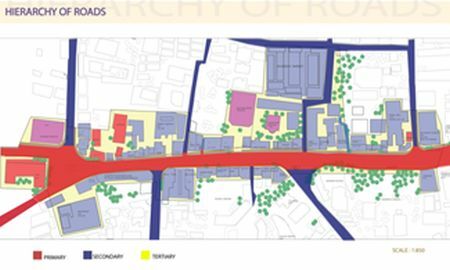 They can also be termed as “feeder roads”. 50% of the traffic here on this main shopping street is the floating traffic. People park their vehicles wherever they find it easier and closer to get access to get their stuff and leave. 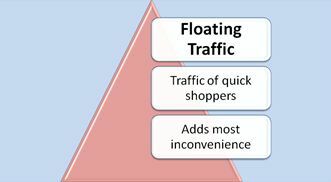 The most chaos and cause of inconvenience is caused by floating traffic because they do not have an organized parking pattern. 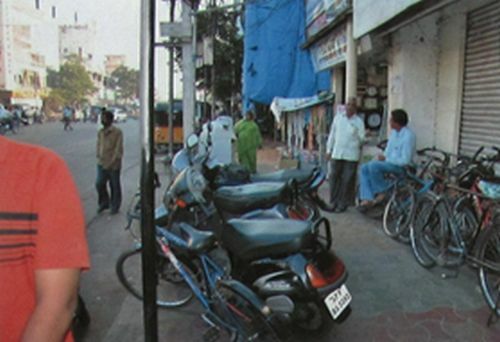 The Parking of the vehicles especially two wheelers is done on the pavements or on the streets. This has led to the wrong practice of parking by the people. People go for On-street Parking because of the lack of Parking space. 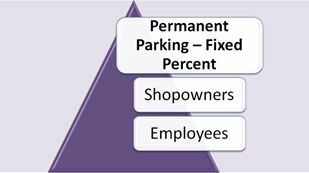 There is a very little percentage of Parking facility provided by the respective shop owners for their customers. Big Bazaar has a provision for cellar Parking and Parking in the setbacks. Cellar Parking is very unsuccessful in Big Bazaar. People have an issue with easy access to the Parking area and hence they rather prefer parking it on the streets. 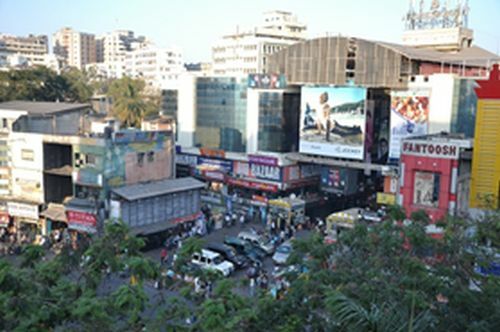 The shop owners and the employees of the respective shop owners park their vehicles as close to their shops or showrooms as possible. This Parking percentage does not vary with increasing traffic or parking.